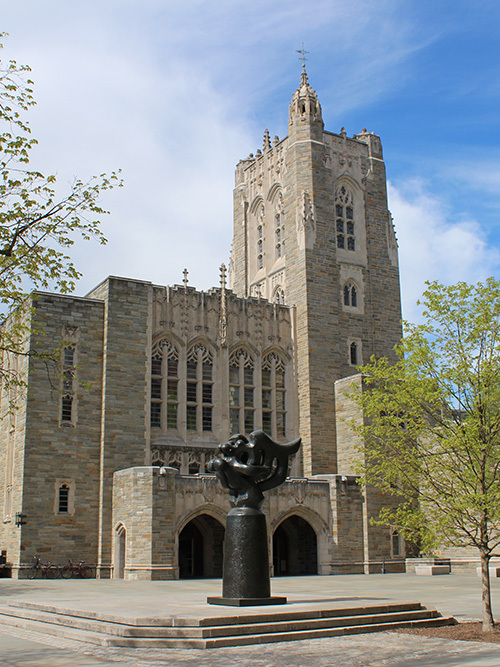 Since its founding more than 260 years ago, the library system at Princeton has grown from a collection of 474 volumes in one room of Nassau Hall to more than 11 million holdings in approximately 12 buildings throughout the campus. Firestone Library functions as the main library on campus and assumes primary responsibility for the humanities and social sciences. Access to most areas of Firestone requires a valid Princeton University campus identification card with photograph. Researchers and scholars not affiliated with the University are welcome to use many Firestone collections under certain conditions, although non-affiliated researchers may be subject to a fee for access or borrowing privileges. All visitors are advised to consult with the Privileges Office (609) 258-5737 for details prior to arrival. The Rare Books and Special Collections department, also located within Firestone, sponsors exhibitions that are open to the public and free of charge. Use of the department's collections by visiting researchers requires registration, including the presentation of photo identification (e.g., a driver's license). Appointments are not necessary, with the exception of the Scheide and Cotsen Children's Libraries. Consult Firestone Floor Plans and Call Number Information to locate collections and services in Firestone Library. 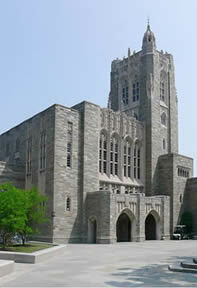 The Harvey S. Firestone Memorial Library opened in 1948 as the first large American university library constructed after World War II. Roughly 1.5 million volumes were moved during the summer of 1948 from Pyne and Chancellor Green Halls, which until then had served as the University's main library. The library building was expanded in 1971 and again in 1988 and currently has more than 70 miles (110 km) of bookshelves, making Firestone one of the largest open-stack libraries in existence. Though not the largest university library in the world, the library has more books per enrolled student than that of any other university in the United States.